Welcome to the Surajpur Gaam website, one of the thriving gaams within the Kanbi Community. 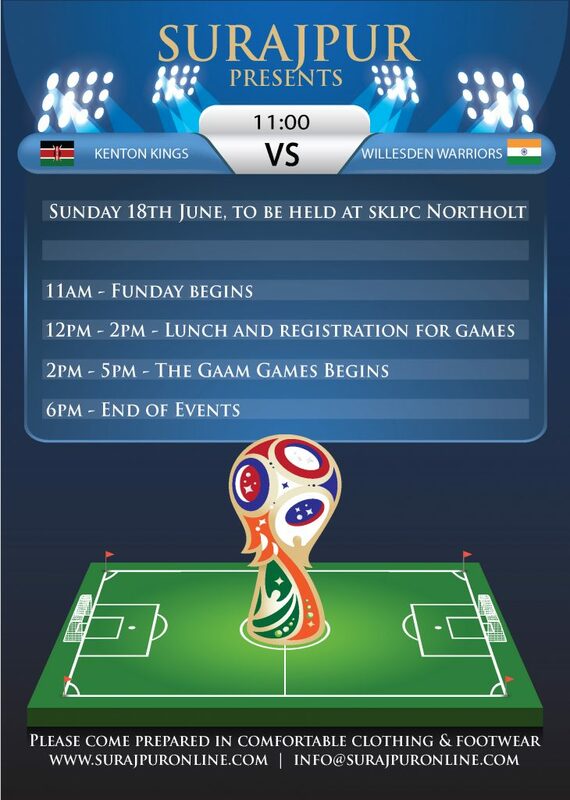 The Gaam Funday is on Sunday 24th June @ Northolt. Hope to see as many of you as possible next Sunday. You will find details of the functions and events that are planned as well as pictures of all past events that have taken place. 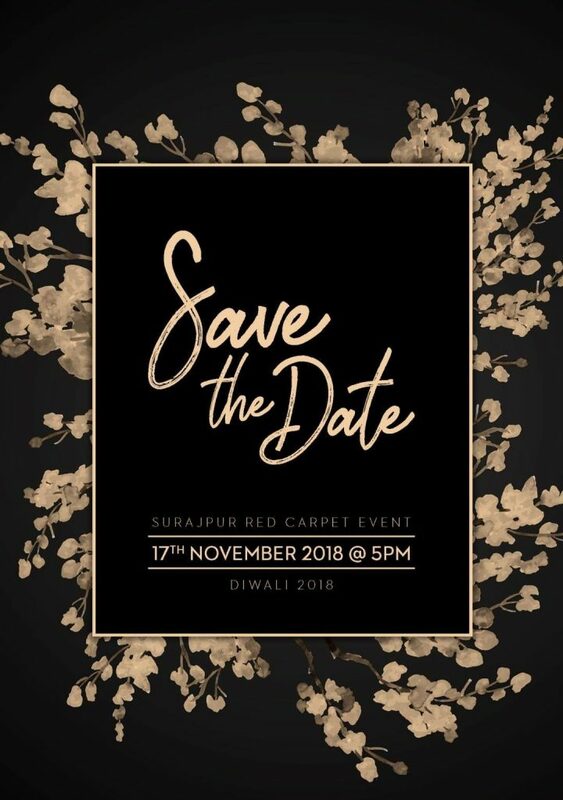 You will also be able to view the gaam calendar which details all the dates where a gaam function has been booked including gaam member weddings and engagements. This year’s funday was another tremendous success, as we were in a football world cup year, the organisers wanted to do a Surajpur World Cup. Most people had assumed this meant people playing football boy were they wrong. Whilst all the games and activities were based on Brazil and football they were not the traditional football games., we had activities such as blind folded penalty shoot out, shooting accuracy, fastest shot, three legged dribbling challenge and a human size table football. To honour the hosting nation Brazil a Samba based zumba session was arranged. The main highlights of the day were the blindfolded penalty shootout, which was one of the most popular activities, and probably bought the most laughs, that human table football was where the real competitive nature of the Sujaparians young and old came out and provided some very interesting matches were all gloves were off, finally to top off the day the wet sponge throwing for charity was a huge success thanks to all who were brave enough to take the cold wet sponges and those who paid for the privilege of throwing the sponges at their friends or families.